There is a big problem in Oakland of people committing crimes and how it hasn’t been safe in the community. Well let me tell you, all communities have a similarity which is crime and violence. The big question is: How has violence and crimes affected the Oakland community? Oakland is a place where people think it is very dangerous. Most people believe that Oakland is all about crimes and people commit crimes because of the environment they live in. Based on the interviews and research I have done the Oakland community needs to be a place that is safe because we’re all facing crimes and we’re all apart of it. We’re all facing crimes and we’re all part of it. I interviewed a student that goes to an Unified School District, they stated, “Yes I believe that society has something to do with people doing violence because society tends to put these ideas in people’s head about violence. People believe that violence is for many reasons taking revenge, getting what they want, and fighting back for what’s right…” (Gaytan). Society has made a big impact on who we are as people because the actions we chose to make are based on what we see other in the community do which are not always right. My interviewee used the words “revenge”, “return,” and “want” to show that these are the actions people take sometimes because of hate, but other times for survival needs. The message from my interviewee is that society is what influences their heads and causes them to take those violent actions. One of the websites showed the amount of crimes that were committed by category. The Neighborhood Scout stated, “6,088 violent crimes was committed, 25,114 property crimes, and the total of these crimes total out of 31,202¨ (The Neighborhood Scout). This points out that there is a lot of violence in Oakland and all this violence makes Oakland dangerous which is why people feel unsafe in Oakland. People who are committing these crimes aren’t thinking about the impact it causes on the community, instead they are thinking on how to survive through their everyday life. If you’re part of the community your are part of the violence as well because you are impacted by it. It may be that one day you may get hurt because of the crime and to get revenge, you may commit another crime to hurt them back and this leads to a cycle of violence. Additionally, Oakland should be a safe place. As said in my interview by a college student, “Something that I want to change about the Oakland community is anywhere you go, you would have to beware of your surroundings and you always have to think if that place is safe or not” (Isabella). Oakland is a place that might not be safe but there could be changes and yes we might have to be aware of our surrounding at times but that’s what we always do now anywhere you go. But the tone that was expressing in these words was she does want something to change for her community and she wants something that everyone can have which is being able to feel safe around the Oakland Community. One of the websites that I looked on showed the history of Oakland and what the community was really about. On the website, “Oakland has issues with chronic homelessness, drug/alcohol abuse, and economic stratification and poverty” (Oakland Warnings and Dangers). The Oakland community is not always the safest but we are a community of different People of Color. We might have many dangerous crimes and violence happening in the community but that doesn’t mean we can’t come together as a community and change things up for it to be safer. We all want to visit and live somewhere where we would feel safe and not care much about what’s happening around. Some may argue that violence and crime doesn’t really matter to them in their lives. One of the website it talked about how some people may think and believe that they have nothing to do with crimes and that it’s not important. On the website, “The conclusion to draw here is that a lot of people thinks that the crime problem isn’t relevant to them,” says Ludwig, “And that’s a mistake. The ‘victims’ of crime isn’t the only victims” (Scott). There is people that don’t care about what people do and they even might believe that crimes are crimes and there are not important to their life because it’s not someone that is important that is doing it which really wouldn’t matter to them. Which this leads to more people not caring because it’s not happening in their life which makes it not important enough for people to care. To conclude, the Oakland community needs to be a place that is safe and were all apart of the crimes of what people choose to do because we all want to be in a place where we don’t want to worry about getting killed. We want to be in a place feeling like people care for each other even if were committing a crime we need to learn. Gaytan, Leslie . “Violence in Oakland .” 7 Jan. 2018. I chose to interview Leslie because she lives in a neighborhood where gangs and violence happens a lot and I was wondering what she would think about violence. Leslie is a credible source because she’s a student and she might have learned a lot about violence in school. She’s also a student that has opinion about what violence is about. Isabella . “Violence in Oakland .” 7 Jan. 2018. I chose to interview Isabella because she is college student that was visiting Oakland. She used to live with her parents in Oakland for 10 years and she might have experienced some violence in her neighborhood. Isabella is a credible source because she’s a college student at Berkeley that goes to school and that doesn’t live in Oakland anymore. Johnson, Scott. “Oakland Effect: Oakland’s high homicide numbers affect everyone.” The Mercury News, The Mercury News, 5 May 2012, www.mercurynews.com/2012/05/05/oakland-effect-oaklands-high-homicide-numbers-affect-everyone/. This website discusses the severity of homicide problem in Oakland. This website is credible because it was published in 2012 and it’s a news that people know because it’s The Mercury News. Also The Mercury News have news about sports and it also have news in the local. Robert See recent posts by Virtual Tourist, Josh. “Tips on Oakland Warnings and Dangers – Stay Safe!” SmarterTravel, 18 July 2017, www.smartertravel.com/2017/02/18/tips-oakland-warnings-dangers-stay-safe/. This website talks about places to travel and the background of the place you choose to travel to. This source is credible because it wouldn’t give out false information about a place that people would buy tickets to come to. It would look bad on them if they made everything up and everything was different when someone goes to that place and see how different it was. Stephen Stock, Michael Bott, Jeremy Carroll. “Economic Disparity Tied to Gun Violence in Oakland.” NBC Bay Area, NBC Bay Area, 5 Aug. 2016, www.nbcbayarea.com/news/local/Economic-Disparity-Tied-to-Gun-Violence-in-Oakland-381830371.html. This website explains about the violence specifically about gun violence in Oakland. The website talks about how poor communities in Oakland should reduce violence. This website is credible because it was published in 2016 and is on a website called NBC Bay Area that is very well known. Violence and Crime in the Oakland Community by Ying is licensed under a Creative Commons Attribution-ShareAlike 4.0 International License. 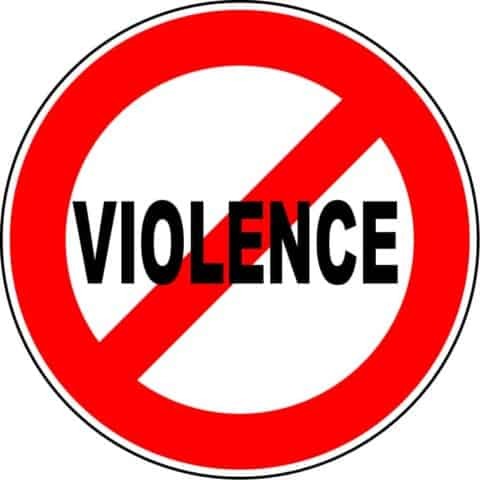 Violence Affecting Youth in OaklandAre We Setting Up Our Students for Success or Failure? I really enjoyed your blog. It explains a lot about Oakland and how the communities are danger to be roaming around. I have a couple questions for your blog, when you say communities do you mean every communities in Oakland or sortan parts of Oakland? Also I support what your ideas and argument. I would like to argue back, since people from San Francisco has moved to Oakland. More peaceful people are coming in the Oakland communities. I feel like there will be less violences in Oakland since gentrification is kicking in Oakland. All the bad people who cause trouble in the communities with have to leave, that means it will be peace. I live in the 60s and there used to be a lot of shooting and thieves, I have experiences my cars getting stolen outside my house and my neighbors house getting broken into. Now days you don’t see that in my neighborhood no more, because there are a bunch of people who walk their dogs in the morning and ride their bike or take jogs around there. People are around my street walking like it was a nice place to walk around, they dont see no danger in my community, because there are new people who are nice to their neighbors and says, Hello or good afternoon, they are nice people coming in bad neighbor turning them into safe places. Thank you for commenting. From what I meant for communities I meant for all the parts of the community. So you believe that people from San Francisco are moving to Oakland but where are the people that use to live here and if were saying if those people are “violent”. Aren’t they still going to be violent just because they move doesn’t mean that our community could become safer. Even if people move in to Oakland from San Francisco I believe that it’s still going to be the same because the people that are committing crimes are still here in the Oakland community. So like as a community we have to find a way to stop that violence. But I also agree with you that people that are moving to San Francisco it can help support the community and make it better because they would have seen as like a model for the people in the community. There are many people in this world that makes this community better and not everyone is violent. But thank you for commenting. I am impressed by your post,¨Violence and Crime in the Oakland Community¨ because my post is also about Oakland and I wanted to know someone else a opinion that lives in Oakland. Plus your semes way better than my opinion. One sentence that you wrote that stands out to me is:¨Oakland community needs to be a place that is safe and were all apart of the crimes of what people choose to do because we all want to be in a place where we don’t want to worry about getting killed.¨ I thinks this is great because people should not worry about their safety. Also people want their kids to have a safe place to walk and not get worried about them walking alone. Another sentence that I like was:¨How has violence and crimes affected the Oakland community?¨ I like this question because people don’t really ask this question, so bringing it out the shadow is great. Also this question really got me going. Your post reminds me of something that happened to me. One time my phone died and I didnt have any money so I couldn’t call my parents and get bus. Ii was dark and I had to walk about 30 blocks. So went walking at 6:30 and I got home safe but my parents were worrying and I got grounded because of that. Thanks for your writing. I look forward to seeing what you write next, because your post got me thinking. Also I like your post because I can tell you really put effort. Thank you for commenting on my post. It’s very cool that you were able to relate to and to see someone’s point of view of what they think about violence. I agreed with what you said because the Oakland community can be very dangerous at times. Which this can make people have a hard time feeling safe in the community and I totally understand how you feel when you connected with my blog. We all want to be safe in the community and we all want to feel like we are in a better place and a place where we feel like it’s safe of where we live. Thank you for taking your time to read my blog.